"Cool as a cucumber" takes on a new meaning with this great dish I "recently" found. 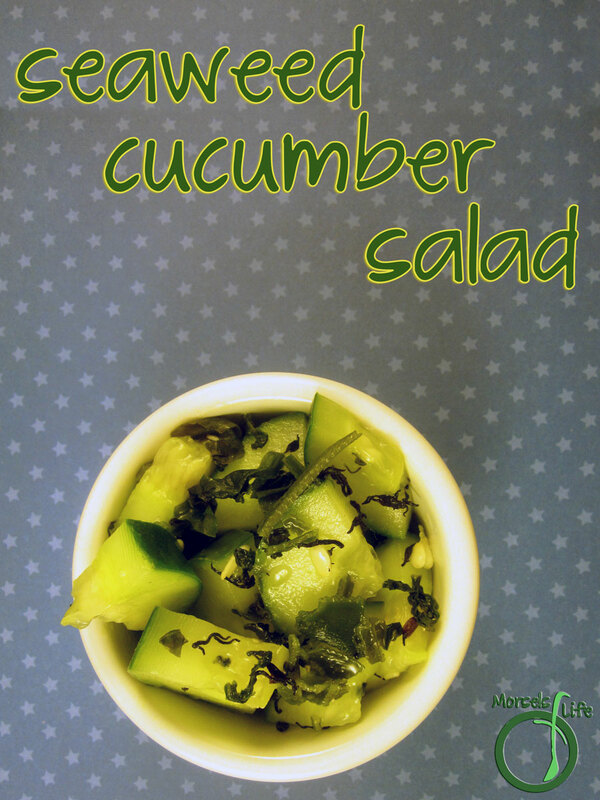 As we're heading into warmer weather, I thought I'd make this cucumber salad. 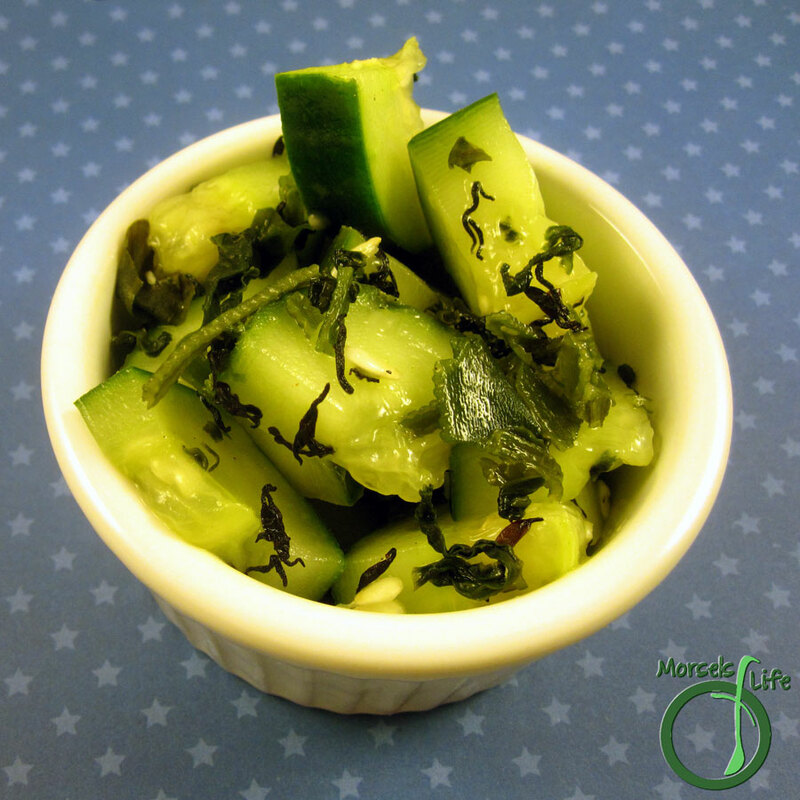 Cucumber salads are all more or less the same; though delicious, the formula can get a bit dull. This recipe from Sustainable Pantry, however has a decidedly Asian twist with the incorporation of sesame oil and seaweed. 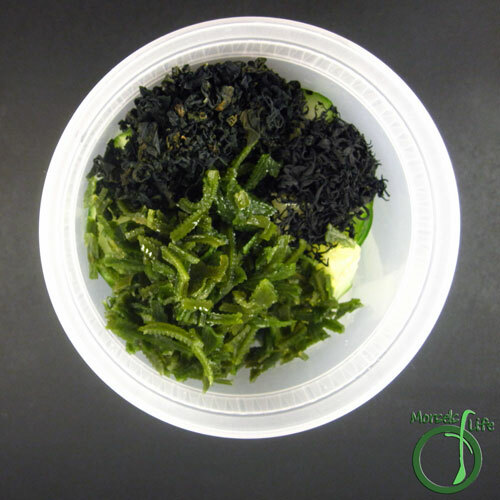 Don't let the seaweed turn you off; in addition to all the nutrients and health benefits seaweed provides, it has a wonderful flavor reminiscent of the ocean's bounty. This flavor, combined with the intoxicating aroma of sesame seed oil, makes for a multi-layered experience. 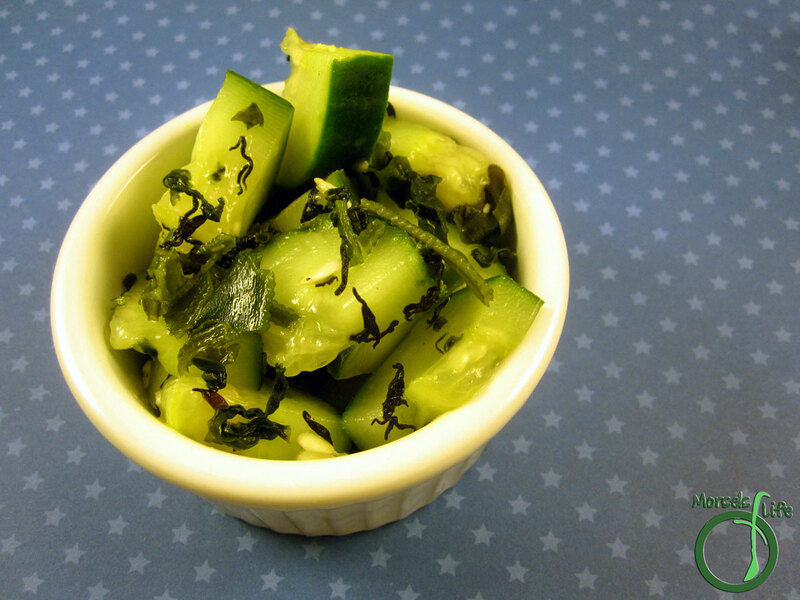 The cucumbers bring their familiar cold crispness, contrasting the slightly chewy texture of the seaweed. 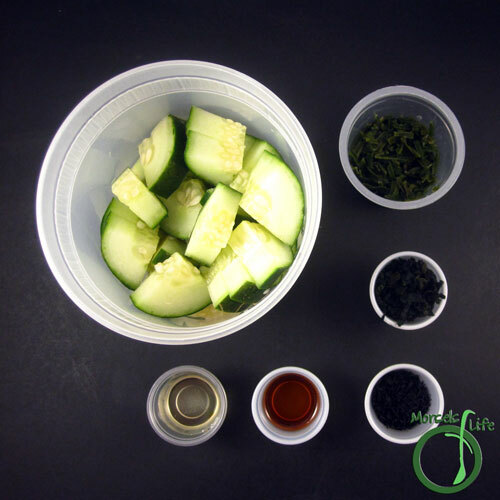 Sesame seed oil, sweet cucumber, tart vinegar, and seaweed combine well for a distinct and enjoyable dish. What are your thoughts on seaweed? Crisp cucumber, smooth sesame oil, tangy vinegar, and tantalizing seaweed makes for an unforgettable summer dish. 2. Combine all materials and shake together. I am not sure I could eat seaweed. What kind of taste does it have? Thank you for sharing your wonderful post at #WonderfulWednesday. I look forward to what you will share next week! Do something special. Give yourself a standing ovation today! We hope you’ll come back again next Tuesday when we open our doors at 7:00 PM EST. I love seaweed! Do you use the dried kind? Thanks for sharing on the What's for Dinner Link up! I have had things with seaweed in it, but never made anything with it. Thanks for sharing on the Waste Less Wednesday Hop!